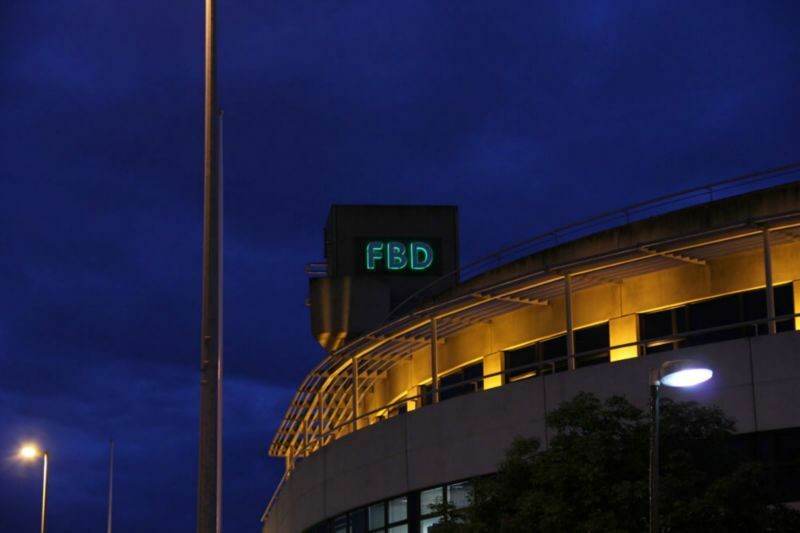 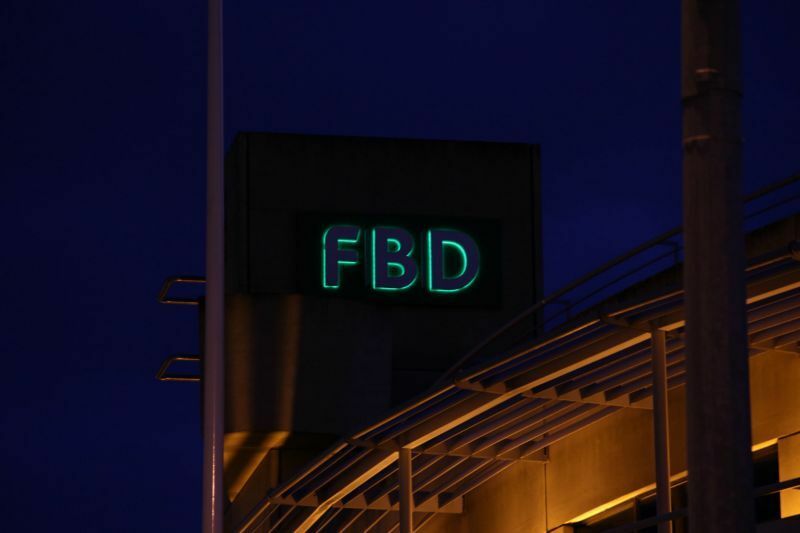 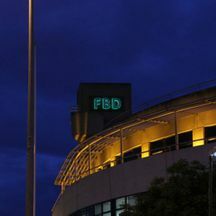 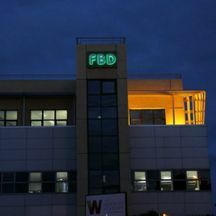 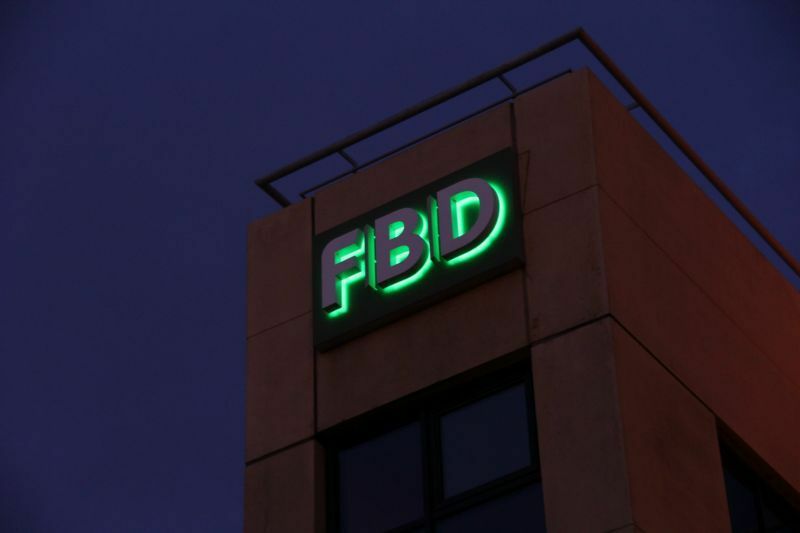 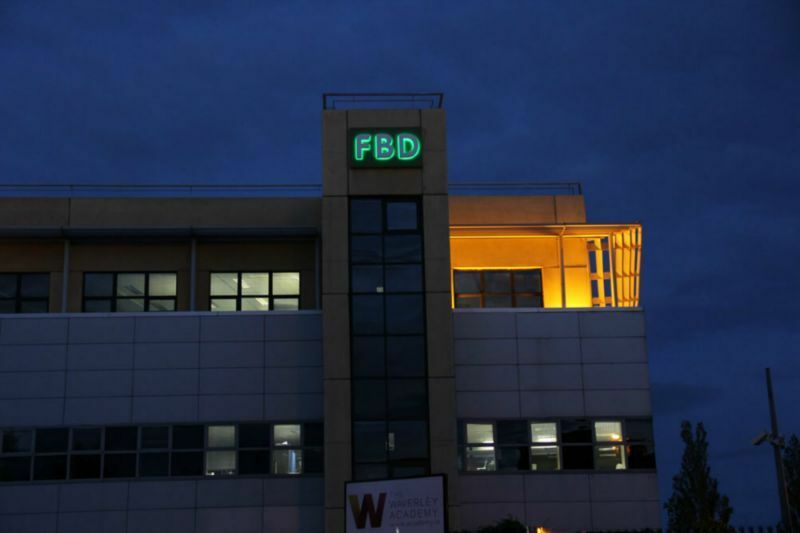 When FBD Insurance pushed through a modern revamp of its brand, Academy Signs were challenged with providing prominent signage to there head offices on the Naas Road. 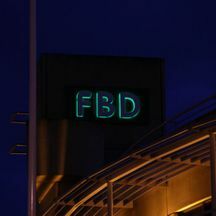 High Level illuminating lettering was required to attract the attention of on coming traffic to and from the city centre which could also be clearly visible at night. 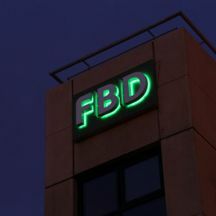 Built up 3D Lettering with Green LED Back lighting on fascia panels ensured that the brand could be clearly visible.